3 Bedroom Semi Detached Bungalow For Sale in Wakefield for Offers Over £150,000. 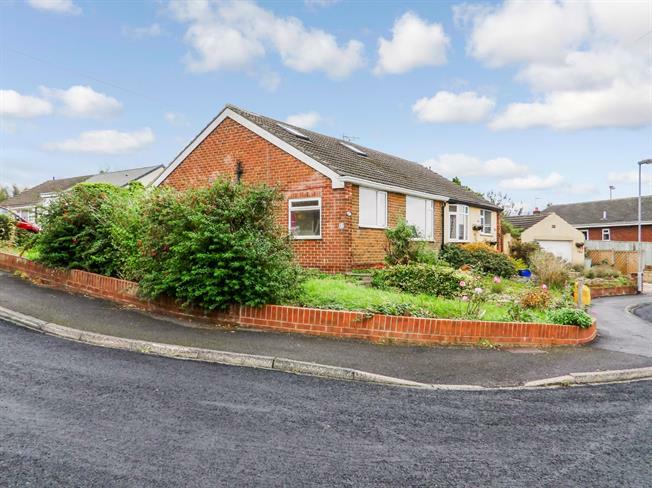 This spacious semi-detached dormer bungalow offer plentiful space and potential to extend (Subject to Planning Consents) due to the large wrap-a-round garden. Comprising of three bedrooms, two receptions room, driveway and detached garage it is perfect for those looking to downsize or First Time Buyers. The kitchen is of a good size with fitted cupboards, cooker and space for a washing machine. There are additional cupboards built into the wall, and there is a large window overlooking the rear garden. The dining room is a large space, and offers the potential to be converted into a kitchen diner, making it a well-proportioned open living plan space. The living room is spacious, with a large window overlooking the front garden. It follows on to the dining room, offering a flexible amount of living space. The largest of the bedrooms offers a good sized double bedroom with a skylight letting in plenty of light. Bedroom Two is a good sized double with a skylight on the sloping roof. Bedroom Three is situated downstairs to the front of the property, and could easily accommodate a 4ft bed, or as a good sized single room. The bathroom comprises of a bath, WC and basin with a large window letting in plenty of light.